Police are still struggling to find the identity of a woman, six months after her body was found at Britain’s most notorious suicide spot. She was discovered at the foot of Beachy Head, East Sussex, on June 13 alongside two other bodies and was carrying nothing but a five pound note. 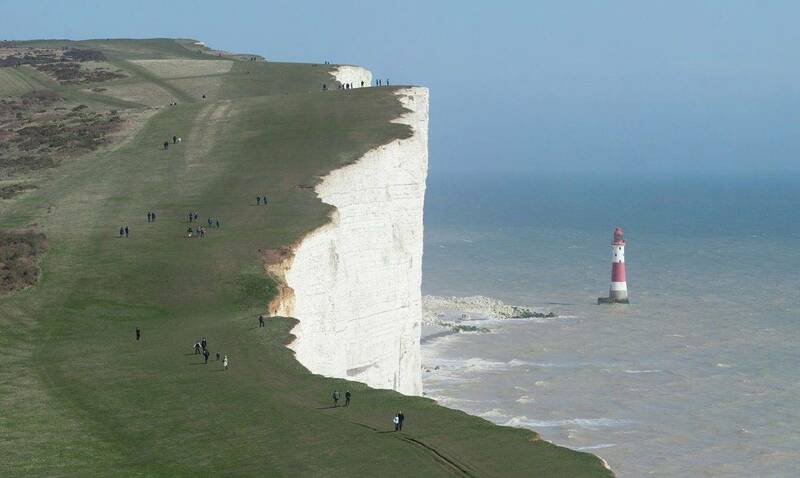 Sussex Police have now reissued the appeal to find the woman, who was found after a group of foreign students reported a person falling from the cliff edge. A spokesman said: “While that person’s body was being recovered by a coastguard helicopter crew, they found a second nearby. “People walking along the base of the cliffs then reported discovery of a third body. “All three were recovered and the first and third were subsequently identified. The woman was aged between 20 and 40, 5ft 3ins tall, of slight build and weighed 8st 6lbs. She had black, shoulder-length hair. The spokesman said: “She was wearing a white Marmot hooded jacket over a grey Bench hooded jacket and a navy blue, floral-patterned top. Coroner’s officer Bob Greenall added: “The woman was carrying no identification whatsoever – just a five pound note – and sadly her body was badly decomposed.